Make your 2019 Lodging plans Today! 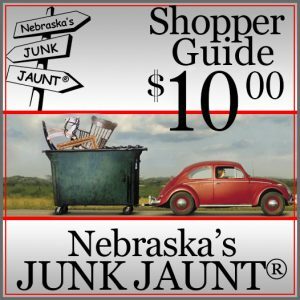 Innkeepers across NEBRASKA’S JUNK JAUNT®” extended to you a hearty “WELCOME” and appreciate your early reservations. There are numerous Motels, Bed & Breakfasts, Guest Houses and Campgrounds in the area. These supporting businesses have the perfect place for a good nights’s rest after a ”Shop ’til You Drop” day. Accommodations fill quickly, so make your reservations early. If you have questions about lodging feel free to contact us or use your local travel professional.